As some of you may know, my dad passed away last weekend. Tomorrow is his memorial service and though it seems trivial I've been racking my brain trying to figure out what polish was appropriate. Then it clicked. 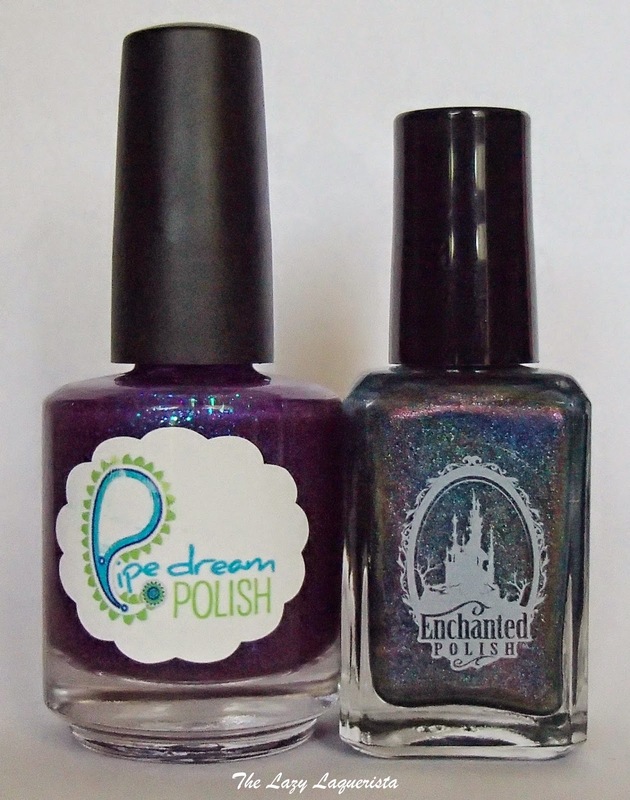 My dad was an electrical engineer so I decided to use Pipe Dream Polish Electric Soul and Enchanted Polish Engineered To Destroy. I used Electric Soul as the base and then stamped Engineered To Destroy using a pattern on Cheeky plate B that reminded me of gears. The stamped design is very subtle and only shows in certain lights but I'm still very happy with it. Photos show the mani with CND Super Shiney top coat in natural light.